A famous landmark in the town area. 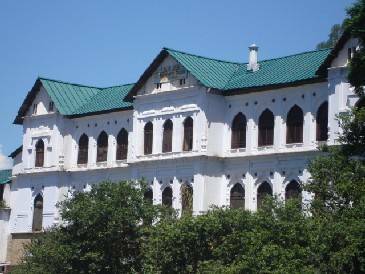 This Palace is a short walk from the Chamba Chaugan. It was built in 1879 by a Captain of the British army. The palace is renowned for its exquisite workmanship on its architecture, and ornamentation, glasswork and painted walls. The building now belongs to the state government and is now visitable by the public.